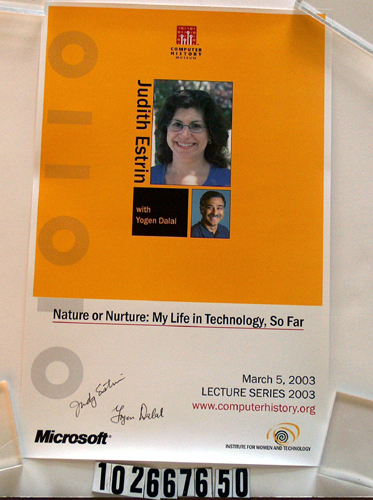 Estrin, Judith; Dalal, Yogen K.
Poster for CHM lecture. 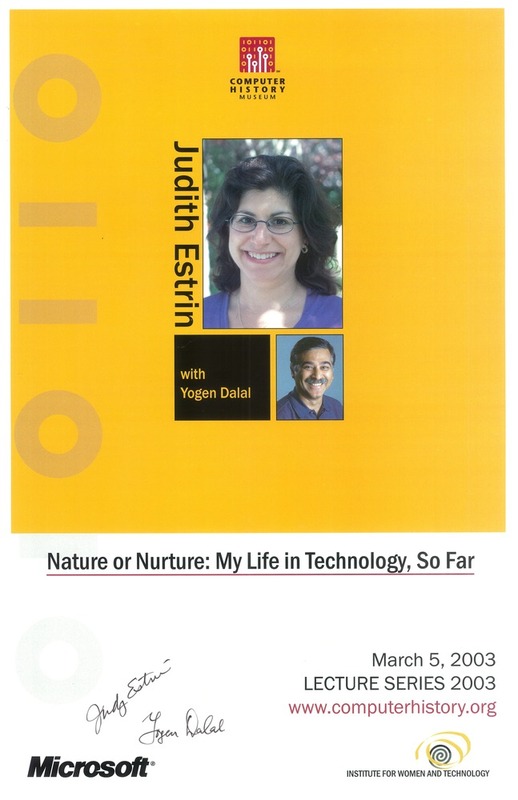 Pictures of Judith Estrin and Yogen Dalal on an orange square over a white background. Signed by participants.